Attractive kettles for quick, convenient boiling. 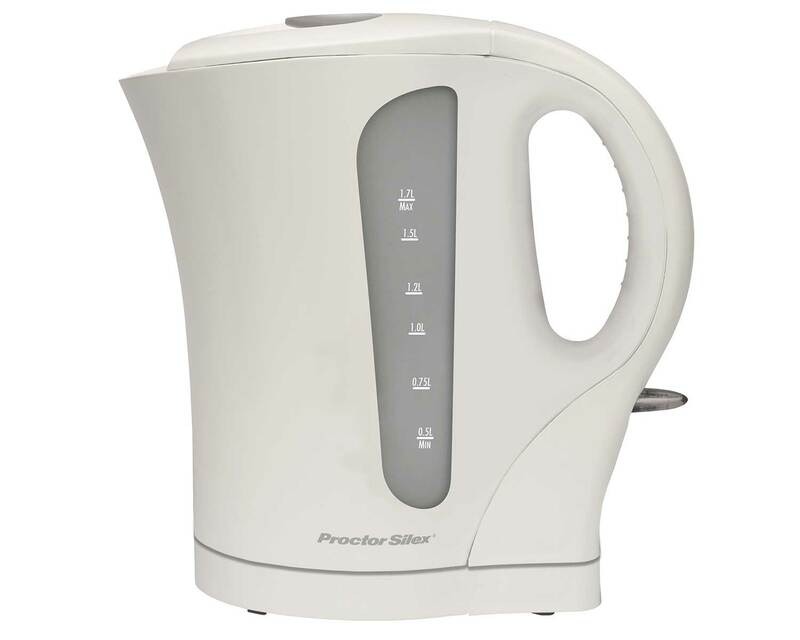 Proctor Silex® makes it easy to boil water with attractive, easy-to-use electric kettles. These convenient kettles utilize a rapid-boil system to heat up water quickly so you can enjoy tea, instant coffee, hot chocolate, and other hot beverages in minutes. Proctor Silex® Kettles are essential kitchen appliances made for efficiency, with dual water windows for easy filling and an immersed heating element for easy cleanup. Built to last, these attractive and affordable kettles are durable enough for everyday use. Added functions include an on/off light, automatic shutoff, and boil-dry protection — great performance features you'll appreciate year after year.